Electrical Safety | JDRM Engineering, Inc.
JDRM Engineering created the Electrical Safety Department in response to the needs and requests of our clients. A comprehensive program was developed covering electrical safety. Services include arc flash calculations, mitigation, coordination, electrical safety classroom training, and a written electrical safe work practices program. Check out our Case Study on Mission Health System and their implementation of JDRM Engineering’s electrical safety services. 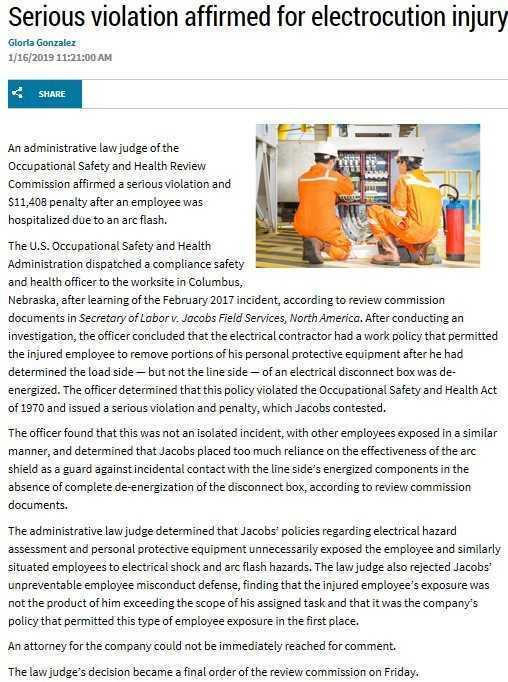 JDRM has served as a third party consultant, reviewing OSHA citation issues and offering mitigation suggestions to satisfy OSHA requirements. Our track record related to very specific electrical safety recommendations has been commended by both clients and governmental personnel. Call Bob Nicholson, CESCP at 419-824-2400 for more information. Mr. Robert D. Nicholson, CESCP, is a Senior Electrical Designer and Arc Flash Specialist. 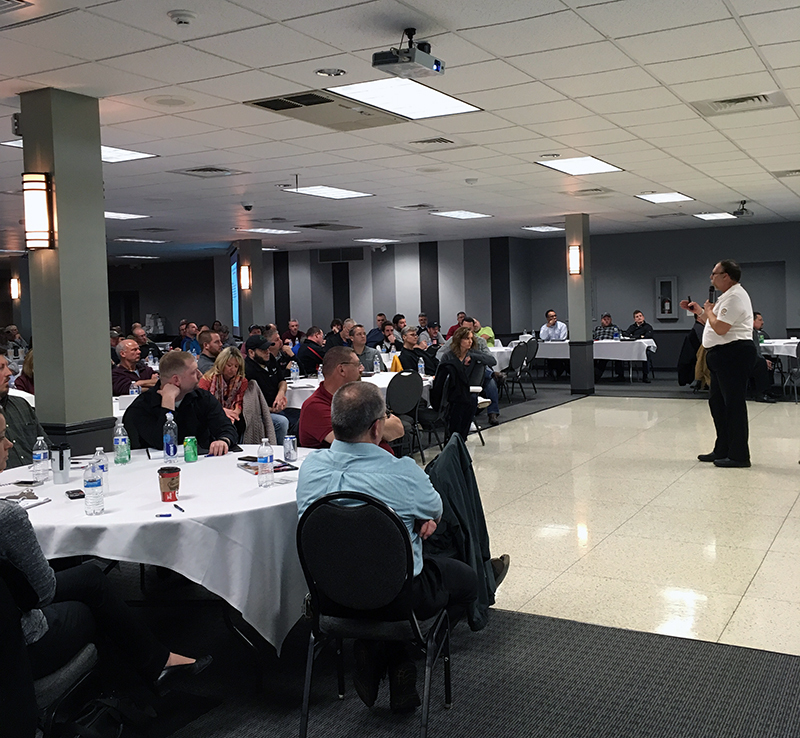 Bob is passionately engaged in educating companies and their employees regarding Electrical Safe Work Practices and Arc Flash Hazards. His life goal is to ensure no one else suffers electrical burns as he did in an Arc Flash incident while working as a Master Electrician. 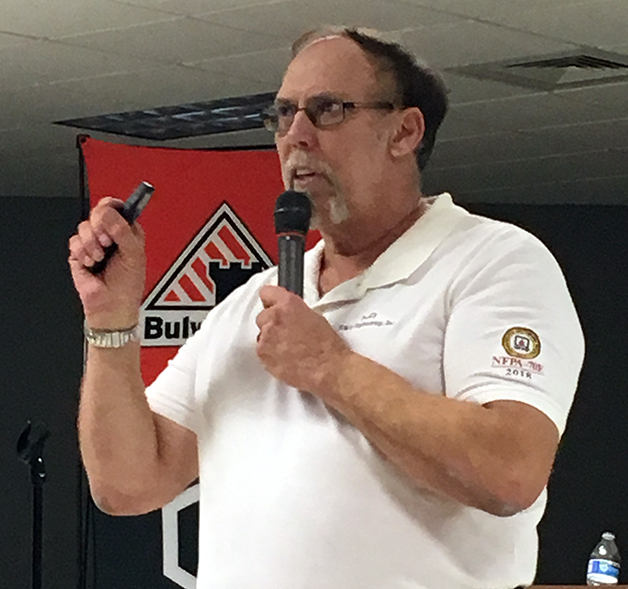 Bob is an in-demand spokesman on Electrical Safe Work Practices who routinely provides classroom instruction, awareness seminars, and written programs (as outlined by current OSHA & NFPA 70E standards and regulations) for many firms. Bob was a member of the International Association of Electrical Inspectors and a six-year member of the National Electrical Code (NEC) Panel 3. Bob is an NFPA Certified Electrical Safety Compliance Professional (CESCP) and an adjunct professor at Owens Community College and Terra State Community College. He is a member of the Board of Directors of the Northwest Ohio Safety Council. Additional certifications include: Journeyman Electrician with IBEW Local 8; Electrical Contractor Toledo; Electrical Contractor Ohio; Master Electrician Michigan; and Past Electrical Code Instructor Ohio and Michigan. He is extremely well-versed in Arc Flash NFPA 70E and its relationship to OSHA 29 CFR Sub Part S 1910.331-335, as well as MIOSHA Part 40. Please contact Bob Nicholson, CESCP at 419-824-2400 for your Electrical Safety presentation needs or with any questions you may have on this service. 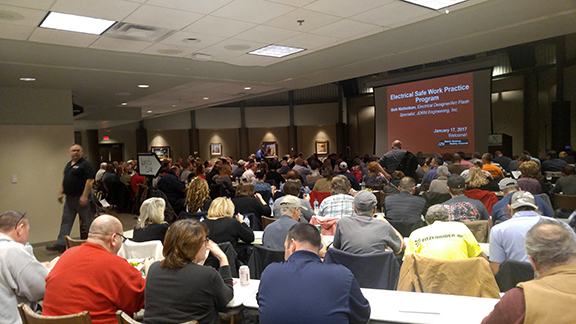 Electrical Safe Work Practices/Arc Flash NFPA-70E Classroom Training presented by the Safety Council of Northwest Ohio – March 27, 2019. Black Swamp Safety Council, January 17, 2017. April 28 and 29, plus May 25, 2016 — all sessions Sold Out! Quarterly presentations to assist professionals preparing for the Certified Occupational Safety Specialist (COSS) examination. 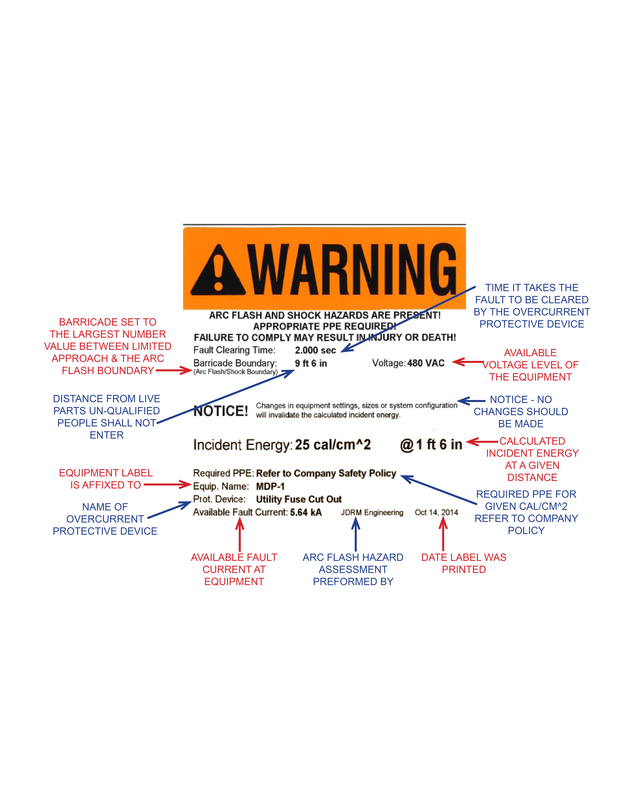 What is Required on an Electrical Safety Label? It is common practice for consulting firms to simply print these labels from a software template without asking the client for their input. 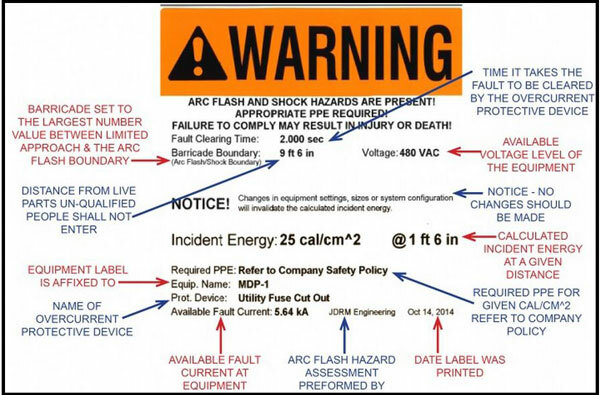 Because it is the most visible and actively consulted component of an Arc Flash study, JDRM Engineering involves our clients in the content requirements and design of their labels. Each label JDRM Engineering supplies is customized to our client’s needs.